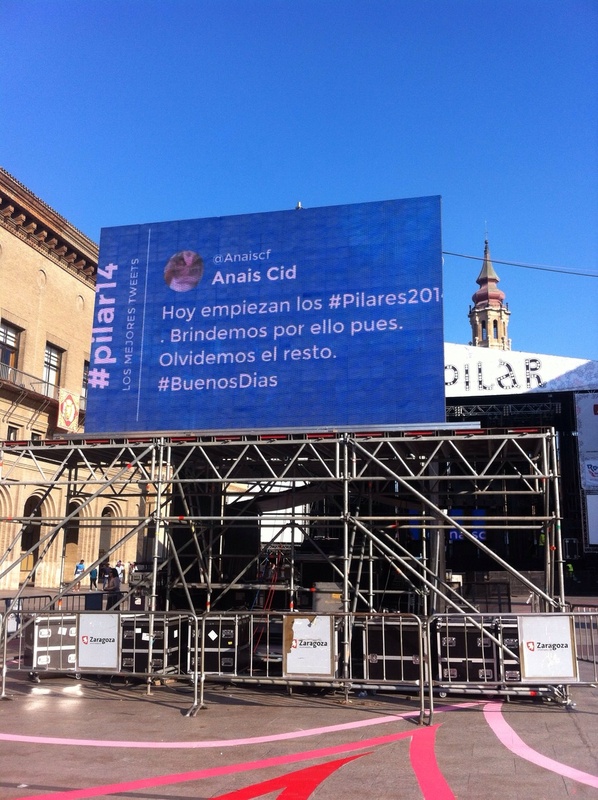 How a Tweet Wall can rock your event. SEAT2014 example. If you are going to organize an event and you’re thinking about setting a Tweet Wall for it, don’t think about it anymore: DO IT. A Tweet Wall is one of the most effective ways of getting engagement with your attendees. A Tweet Wall basically is a “big screen” where the Twitter activity is displayed, you can show tweets, pictures, stats, rankings and much more. If you think that a Tweet Wall is simply a place where you show the tweets of the hashtag event you need an urgent update. 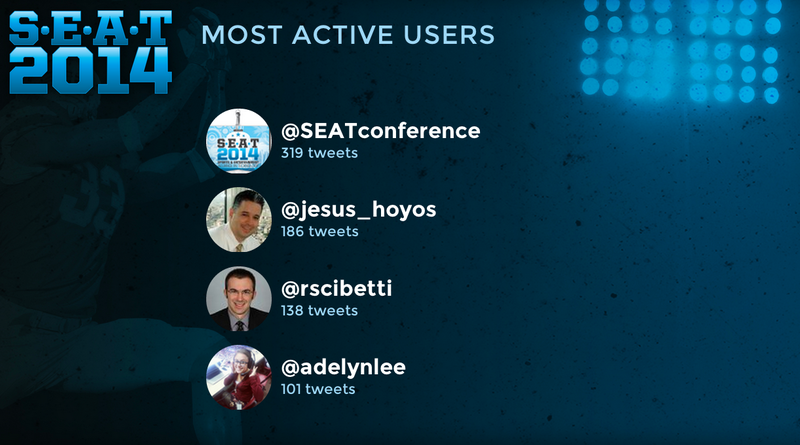 Recently we had the great honor of working with the SEAT Conference in Miami and we created a new concept on Tweet Walls and we couldn’t have known the huge success it was. 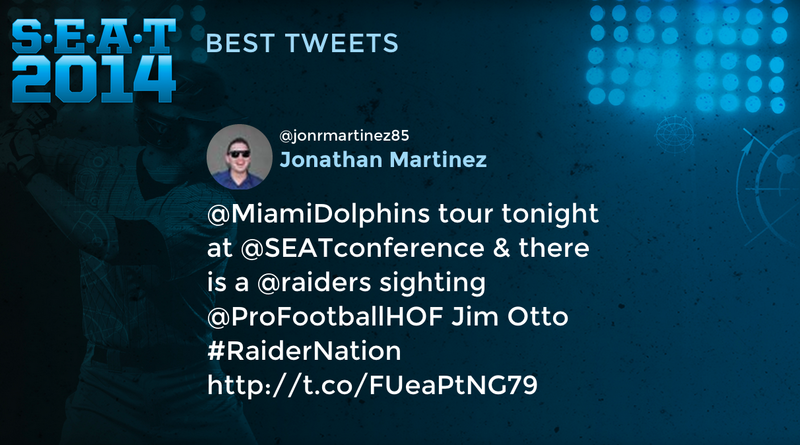 This was was created using Tweet Binder‘s technology that allows to create amazing Tweet Walls showing different content: pics, rankings, tweets, etc. 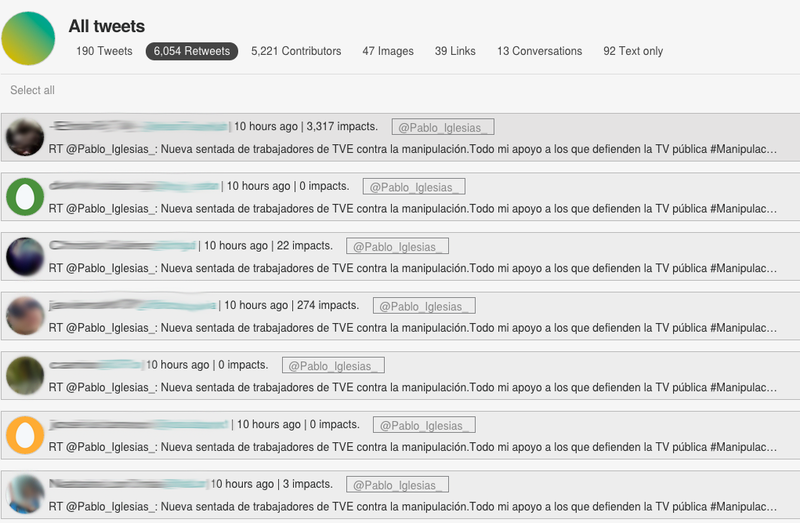 The answers of the users was great, thousands of tweets and a lot of engagement. 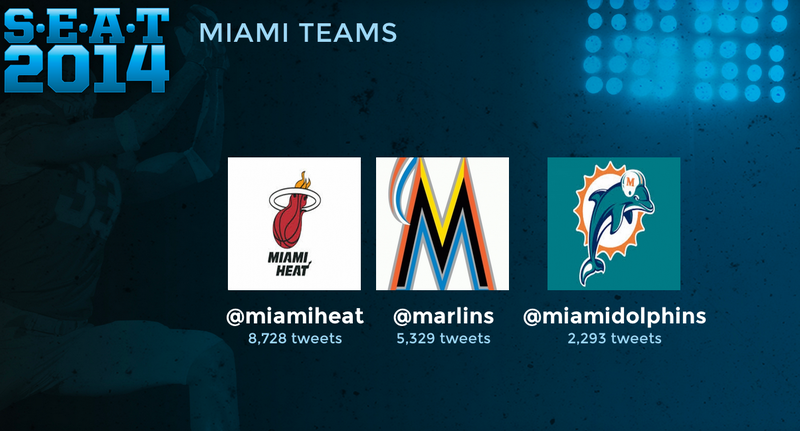 Tweet Wall showing which one of the Miami´s teams got more mentions on Twitter. 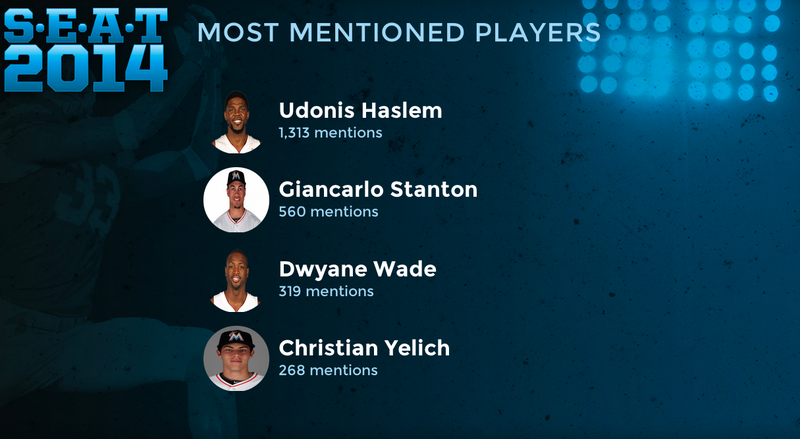 Ranking of the most mentioned players on Twitter among all the Teams of Miami. 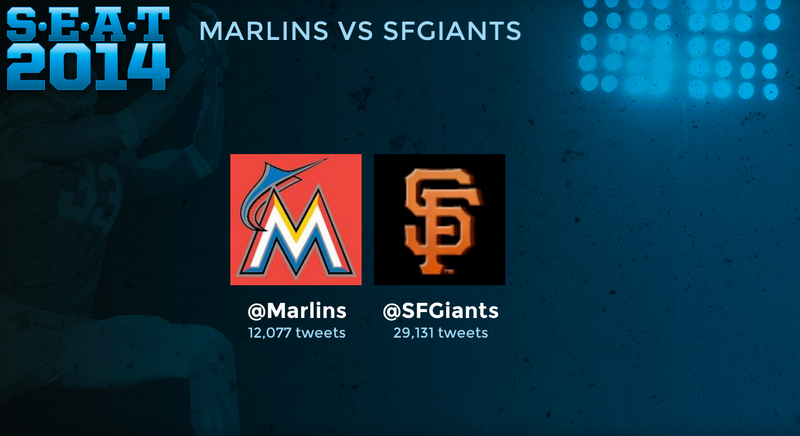 The Marlins and the Giants played that day, we showed who “won” the game on Twitter. Tweet Wall showing the number of tweets and users. 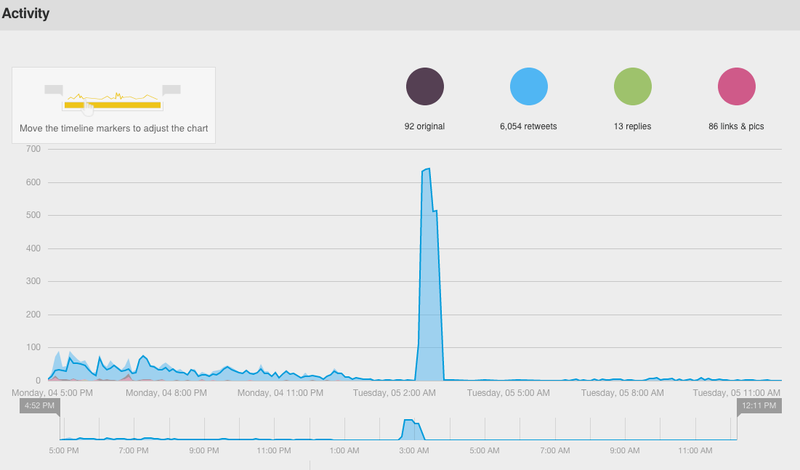 Showing the most active users will make people tweet even more. One Tweet showing on the Tweet Wall. 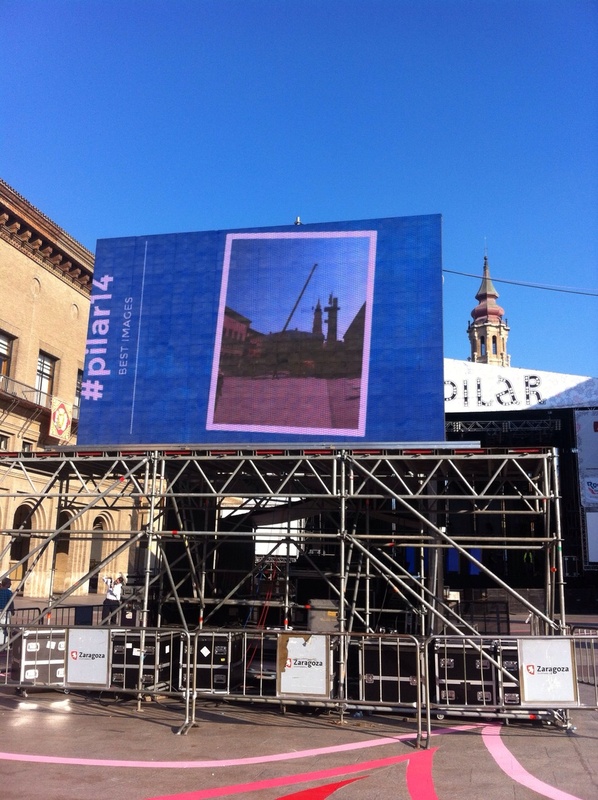 El Banco Sabadell revoluciona el Godó gracias a Twitter. El Banco Sabadell lleva ya un tiempo posicionándose como uno de los bancos que mejor uso hace de las redes sociales. No sólo por el contenido que comparte si no por el gran soporte que dan y que yo he podido comprobar de primera mano en varias ocasiones. 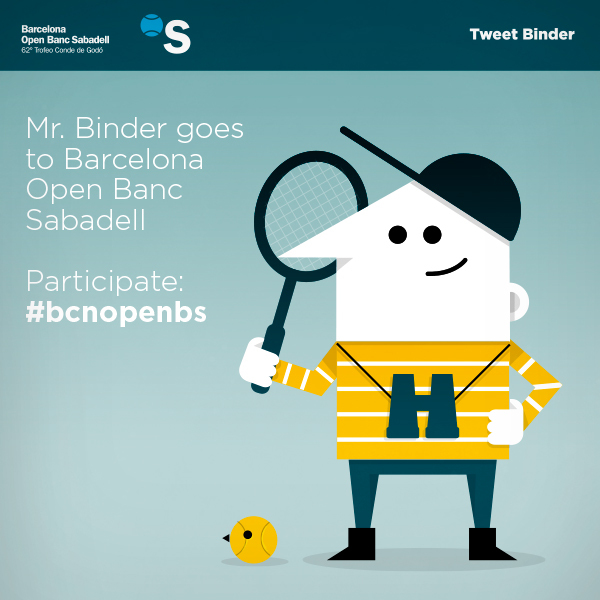 Esta vez han decidido dar una vuelta de tuerca al Barcelona Open Banc Sabadell Conde de Godó, prestigioso torneo de tenis que organiza el banco, y para ello han vuelto a utilizar Twitter. 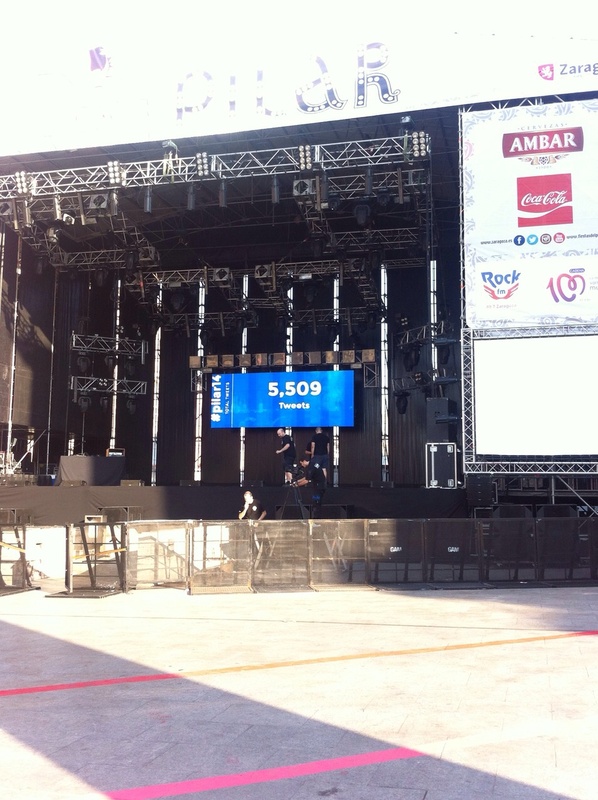 Detalle de los datos que se muestran en el video wall del torneo. 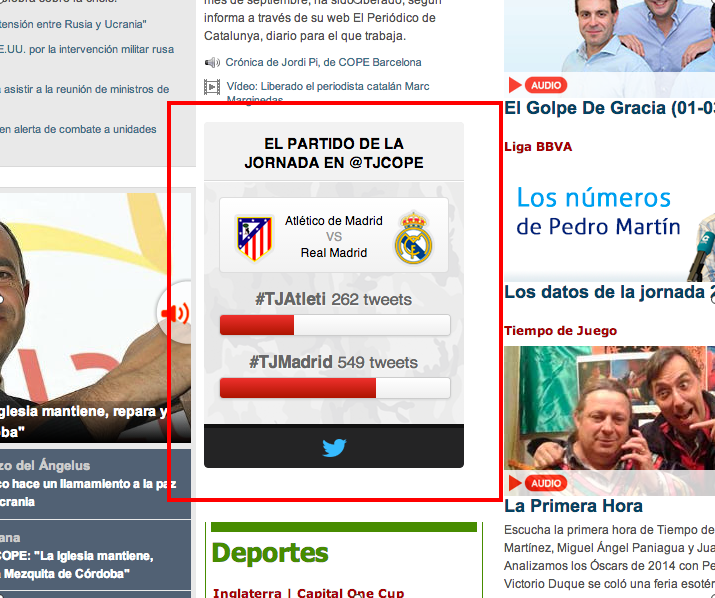 En su página web puede verse cómo han gamificado el torneo utilizando Twitter y la información que los usuarios comparten en el hashtag oficial. Así pues, los 10 usuarios más activos podrán optar a premios directos (siempre y cuando no sean spammers y aporten contenido, claro). 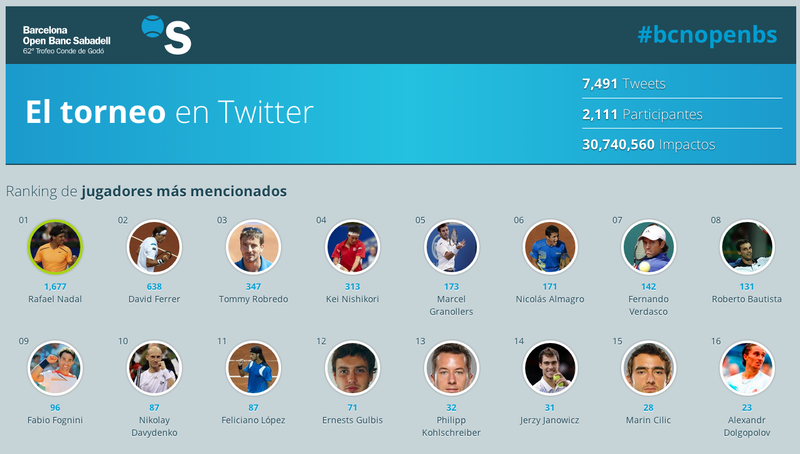 De igual manera han establecido un ranking de jugadores en función de las menciones que reciben tanto de sus cuentas de twitter como de sus nombres dentro de los tweets con el hashtag oficial. De esta manera el Banco “Tuitero” no sólo aporta un elemento más de entretenimiento al torneo, si no que premia a los usuarios pudiendo ver su nombre en su página web y en las pantallas gigantes expuestas en las pistas. Es algo genial desde mi punto de vista, el Banco Sabadell ha sabido cerrar el círculo incentivando a la gente a tuitear pero también haciéndoles partícipes del torneo. Enhorabuena al equipo. Los demás bancos deberían mirar hacia el Sabadell para aprender cómo aprovechar las redes sociales. 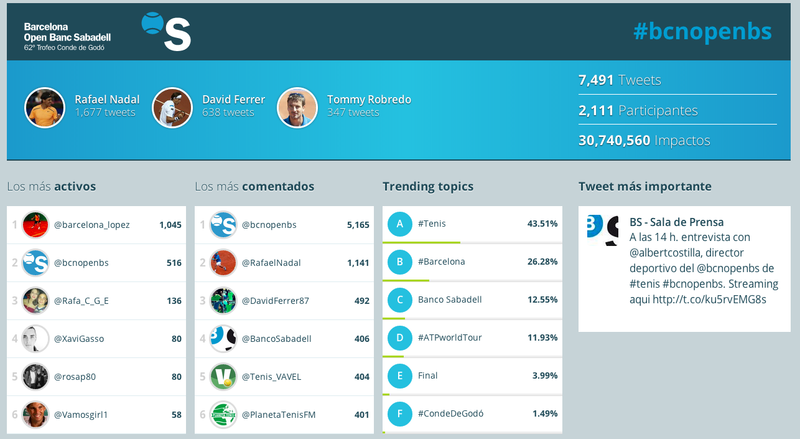 ACTUALIZACIÓN: Todo el sistema de tenistas, tweets, usuarios, etc ha sido creado con Tweet Binder. He recibido muchos emails y comentarios que lo preguntaban, es muy simple de crear y personalizable. Lo importante no es tanto la herramienta en sí como su ejecución de todos modos. 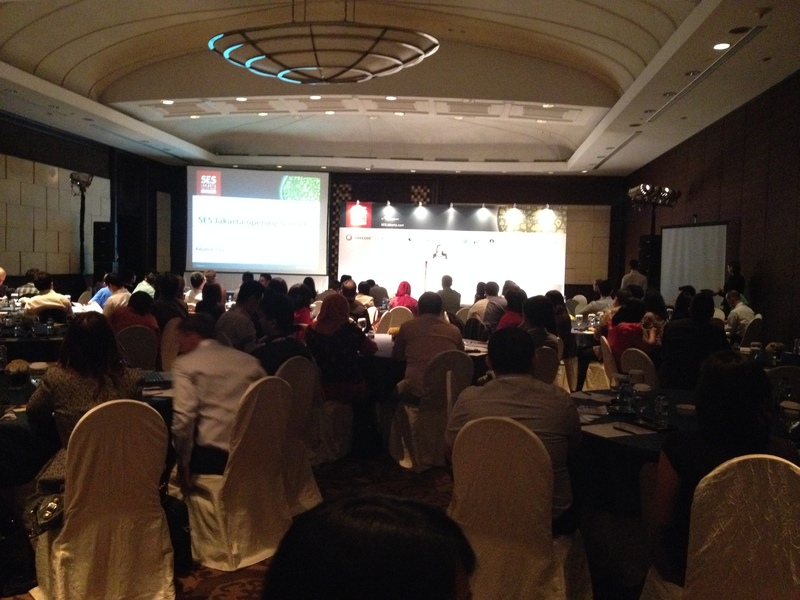 SES Jakarta 2014 – What a journey! Last March 19th I had the opportunity to assist to SES Jakarta 2014, a Digital Marketing Conference that goes from city to city spreading the Online Word. I have to say that this conference was like no other I assisted. 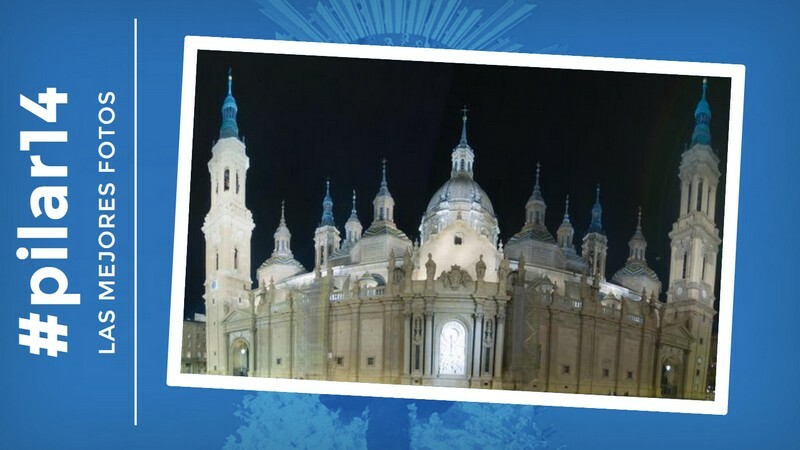 Every single detailed had been planned, the keynotes, the speakers, the venue, everything. 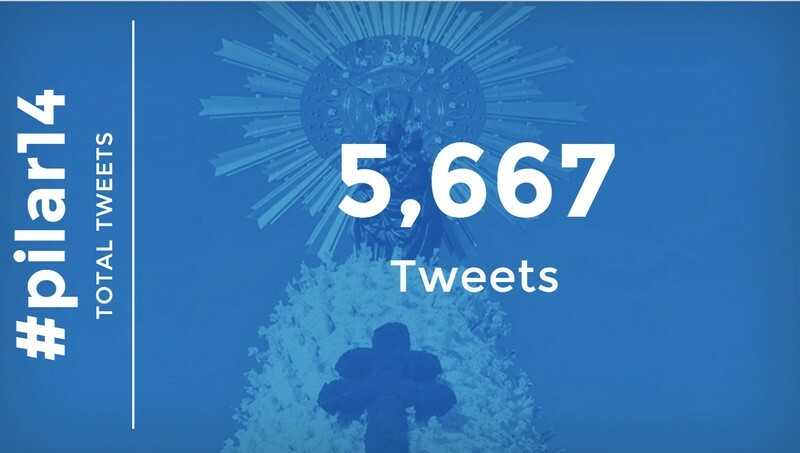 Also the way they managed Twitter with Rankings and Trending Topics on a screen was superb. They got to “gamificate” the conference using Twitter and I loved it. (I will get back to the Twitter part later). In SES Jakarta you could find the main brands on the Internet Landscape: Twitter, Havas, Ebay, Groupon or AT Internet. All the people attending were so open to discuss matters and topics related to the online world. I met very interesting people, had coffee with regional managers of some companies and enjoyed passionate debates about Social Media. I have to say that I was surprised on how Indonesia is growing on Digital Marketing, not only because they have millions of users (Facebook, Twitter, etc.) but also because they are starting to trust on ecommerce, which can blow the market. One of the things that surprised the most is how low Instagram is Indonesia and how big Path is. I actually though Path was a forgotten network, I was wrong. The conference was presented and managed for Mike Grehan, who did a great job. I love his first keynote (despite the remote issues) and the way he interviewed the person of Garuda Indonesia, wonderful interview. I wonder how Mike got time to organize his team, the conference and the keynote, it was fantastic. Also, the way they displayed Twitter information in the coffee room was amazing. This is one of the most important things I have ever seen. 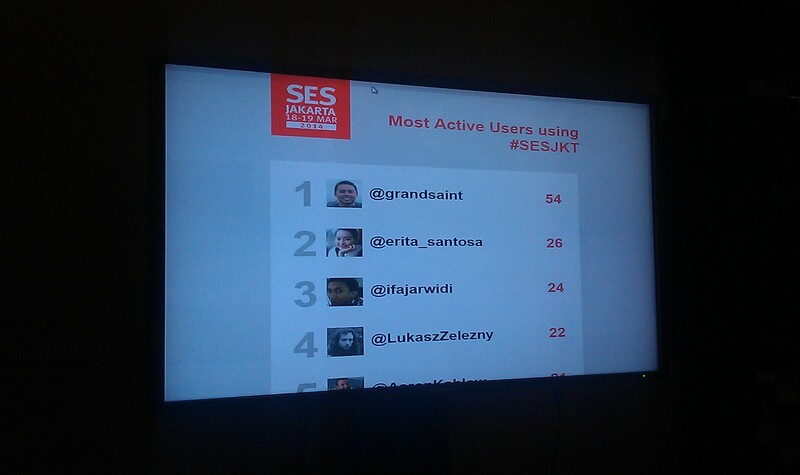 They had a screen showing the most active users, the trending topics of SES (Yes, they even had their own trending topics!! 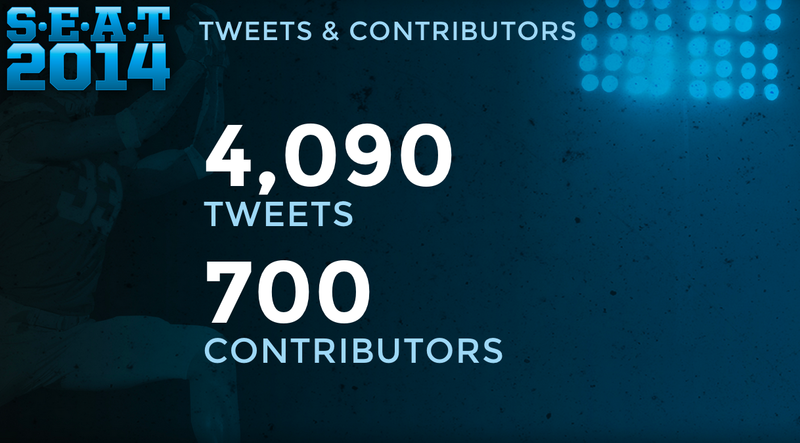 ), tweets and the stats of the event, etc. It was several tweet walls with info that people consulted wanting to find them selves among the most active or mentioned users. 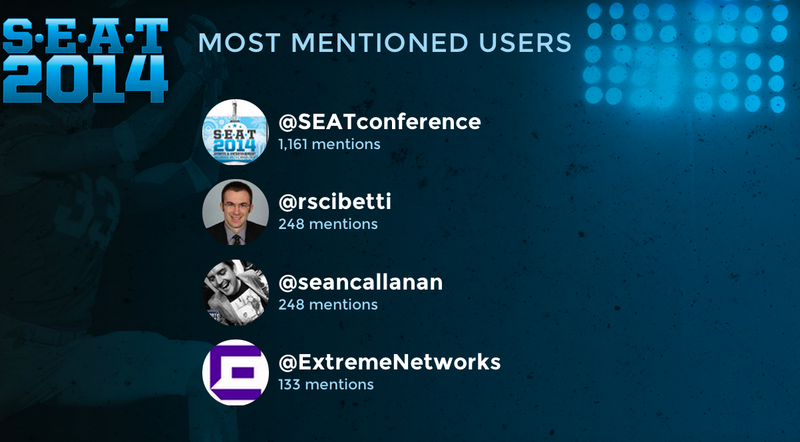 This way to apply gamification on the SES was fantastic and it made people even tweet more about the conference. Anne-Marie Malone was also behind this idea, I love the way they did it and I feel proud of it. If you ever have the chance to go to one SES Conference: GO! !.